You would often find companies looking for people to man a position, within a short period of hiring someone for the same post. 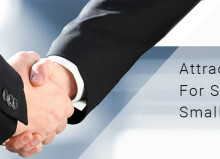 You may have planned well enough, and the candidate was the best possible regarding the experience and qualifications. But you realize that you have made a mistake. Even international recruitment agencies are prone to such unpredictable situations. Here are some errors that recruiters make and the solutions to such mistakes. You may be advertising an old job description, or one that does not reflect clearly what you require from the role. To attract the right candidate, you must word your job description accurately. A failure to do so will land you up with a number of useless resumes. A right job profile must mention in detail what the job requires from the candidate, what qualifications and talents the person applying should have. Besides, there should be a mention of the process that the candidate needs to follow to achieve the specified goals. The remuneration, the reporting structure and the location of the job are other points that need inclusion. 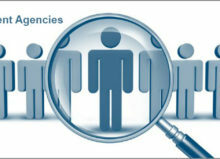 Proper job details act as a filter that brings only suitable candidates to you. Too stringent selection criteria may repel talents from the job. You have a plan when you start with anything important, in life and business. Recruitment is a critical factor that affects the profitability of your business. Having a clear recruitment strategy and planning ahead about workforce are crucial in all the industries, which rely on the efficiency of the staff for profitability. A failure to plan the recruitment process makes it slow, and you may lose valuable candidates to your competitors. Once you decide to hire, have a plan in place. You must know who will interview the candidate and prioritize the criteria you need to consider. Many a time, the managers may not have the ability to recognize and hire the right candidate. When recruiting for top talent, use the services of renowned recruitment consultants india, if you do not have in-house recruitment experts. One of the recruitment mistakes that many companies make is, perceiving themselves as the savior of the job-seekers. With a multiplicity of businesses showing eagerness to hire the best candidates, and ready to pay handsomely to get the talented professionals, you also need to create value for yourself in the market. Creating an employee-friendly image is essential if you seek the best candidates to join you. Using the social media to sell the benefits of working in your organization and the corporate mission you have are some ways of attracting talents. You need to offer many out of the way benefits that traditional employers did not, to appeal to the present generation of job-seekers. You may be too busy looking for the right candidate. But this should not stop you from getting back to the interviewed candidates. A failure to offer feedback is enough to tarnish the image of the organization. This attitude displays the haughtiness of the top-level management, and few people will like to join you if the news spreads. 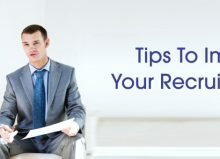 You must offer feedback to all the candidates you interview. In case your recruitment manager is too busy, assign this job to an employee in your firm. The employee must mention the reason why a particular person’s candidature get rejected. The best candidates know their worth in the recruitment market. Offering a low salary to a deserving candidate can put him or her off. Attempts to lure them with higher offers often result in failures. A good candidate never compromises on professional respect. Some research about the current pay scale for a particular position can save the situation. 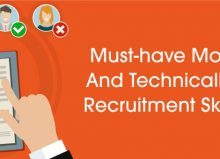 Mentioning the maximum you can pay for a position to the recruitment solutions company you hire, is another way of avoiding such situations. With the changing recruitment environment, you need to think of innovating solutions to attract talents. Avoiding the above-mentioned mistakes, do help. Investing time on recruitment and considering employees as valuable can resolve many recruitment issues for you.